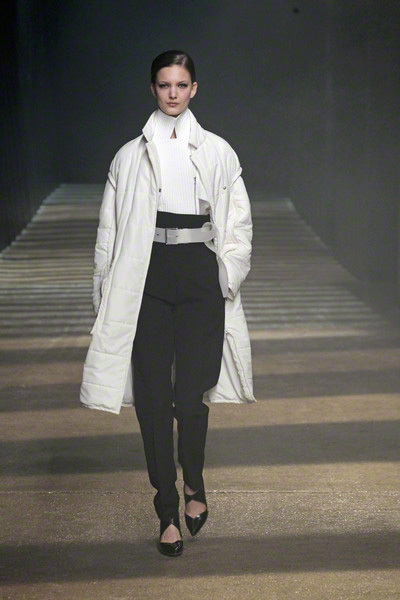 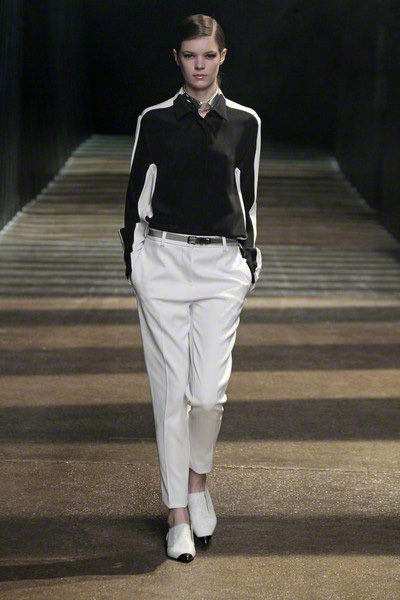 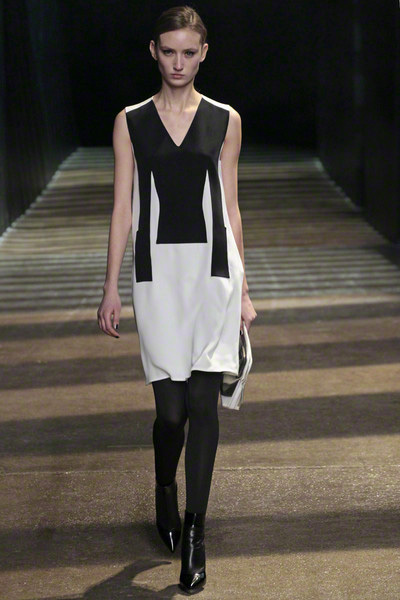 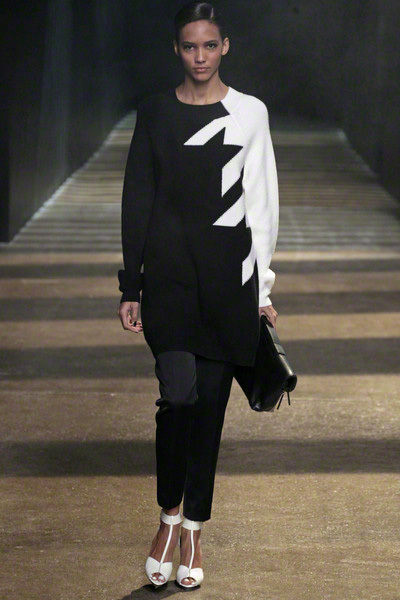 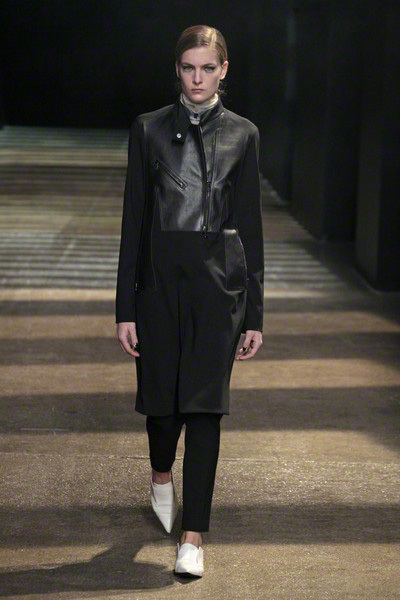 Phillip Lim challenged himself this time with a graphic collection in mostly black and white, with some added neutral tones and some brights at the end. 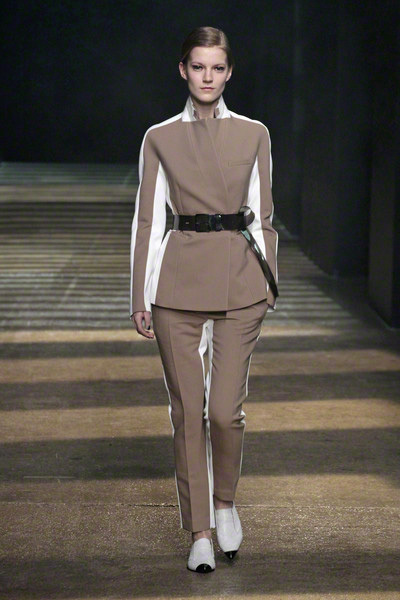 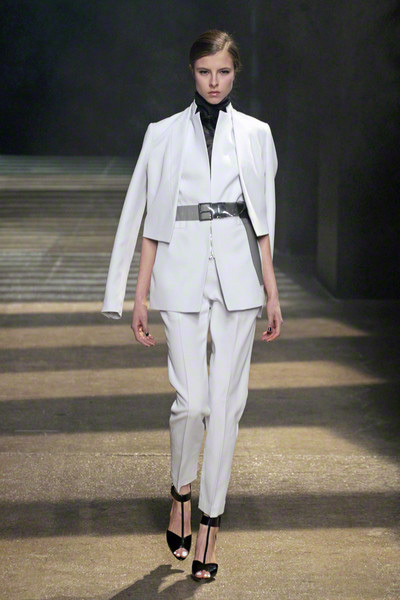 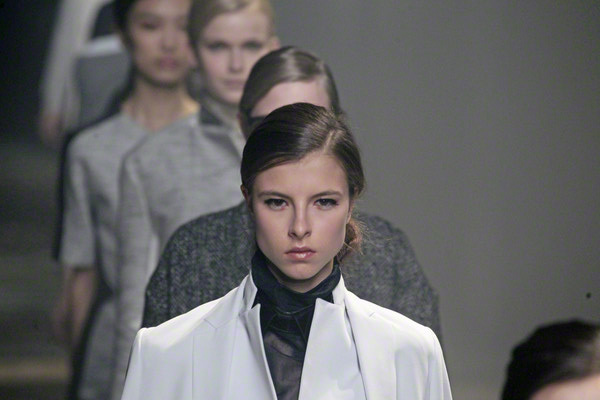 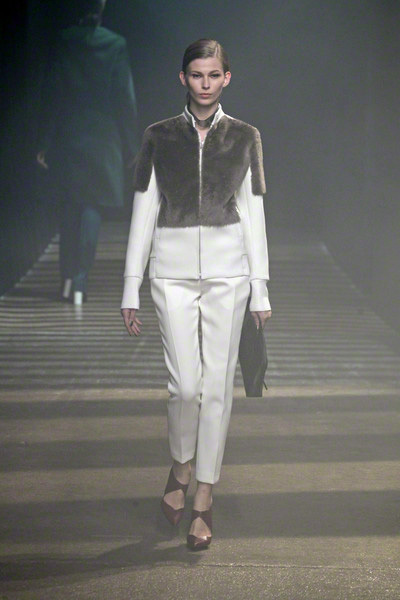 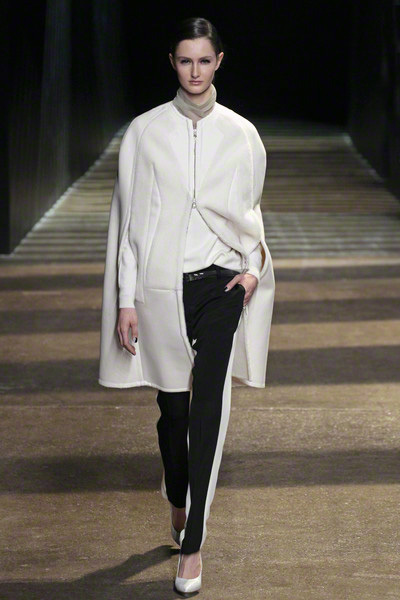 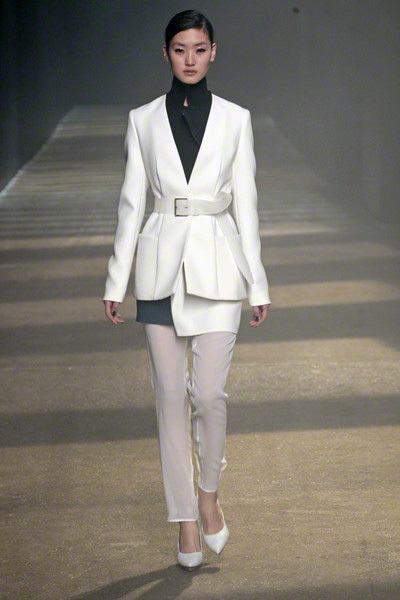 The suiting was beautifully tailored, the perfect middle ground between nonchalant and professional. 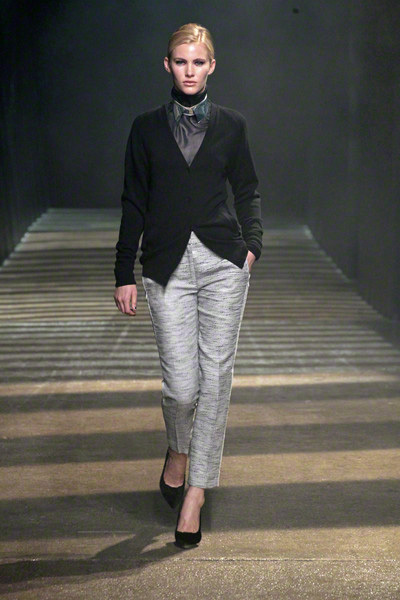 The tapered trousers and soft blazers remained. 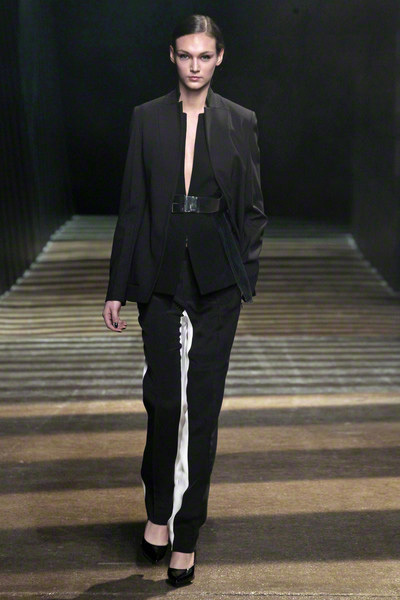 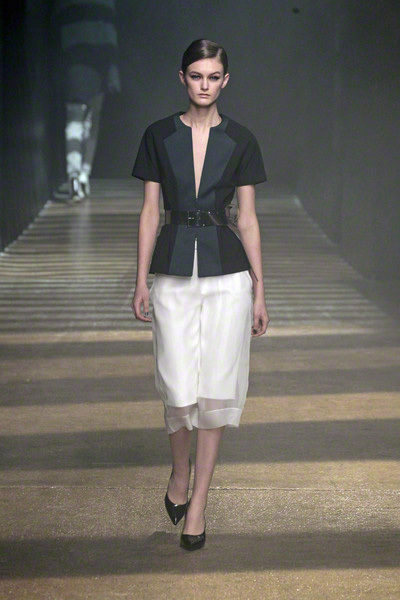 Lim started with the idea of comic books, which resulted in a duality of shapes, creating a slimming, curvaceous tromp l’oeil silhouette. 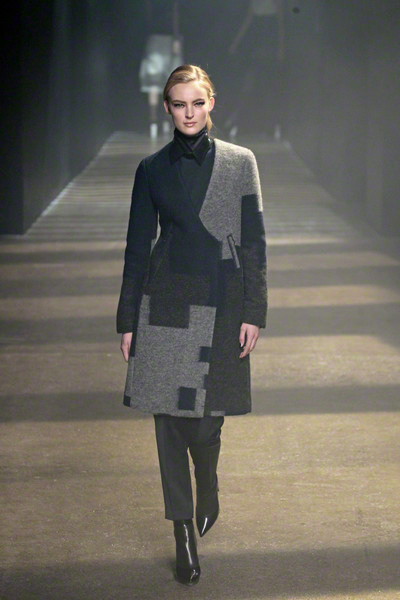 It also played out well with the houndstooth pattern. 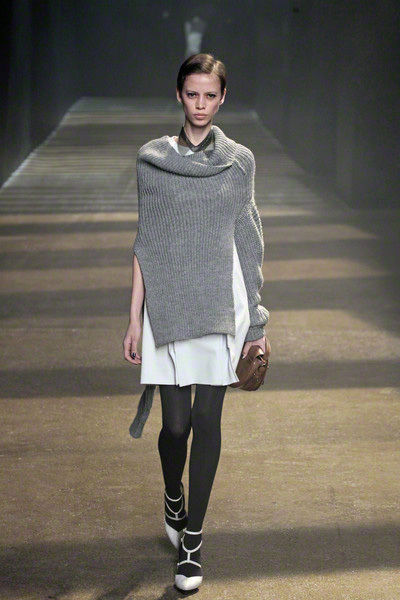 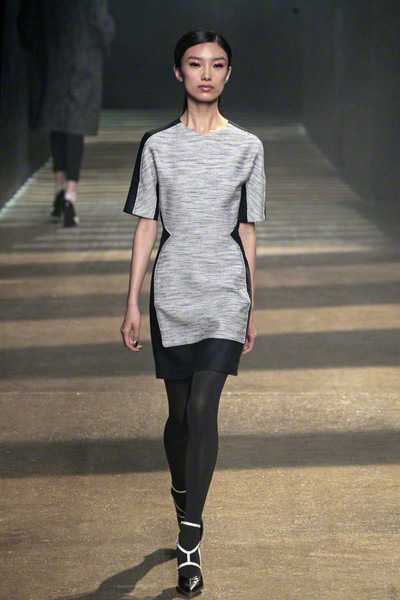 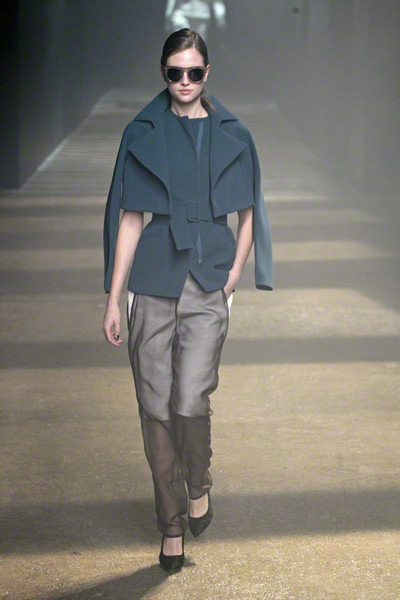 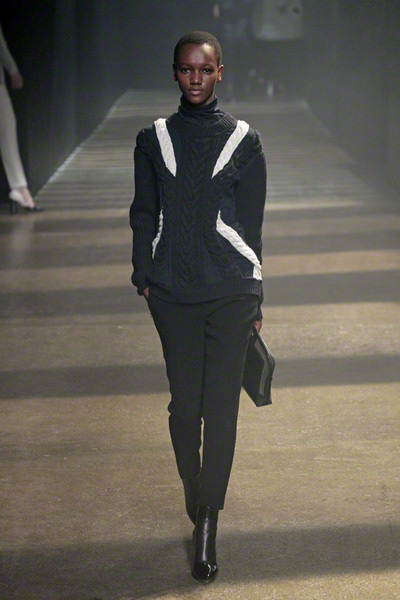 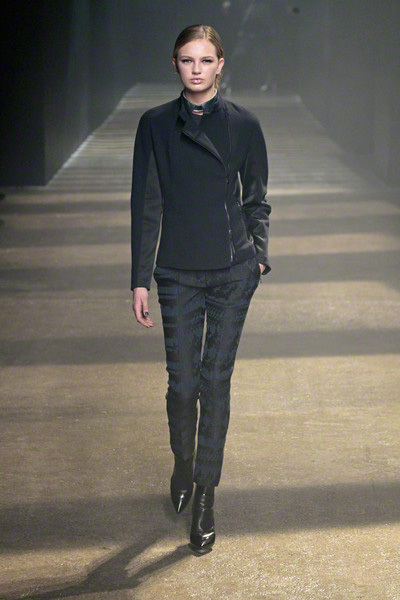 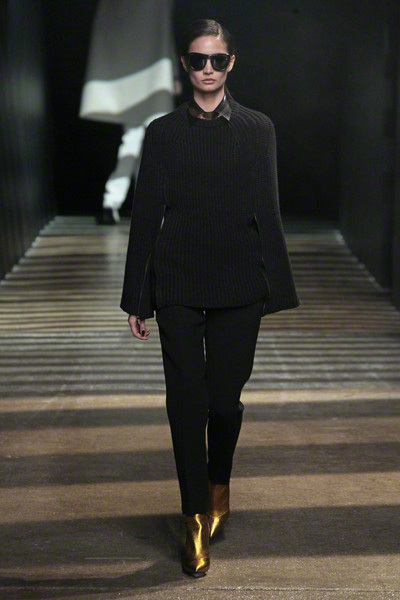 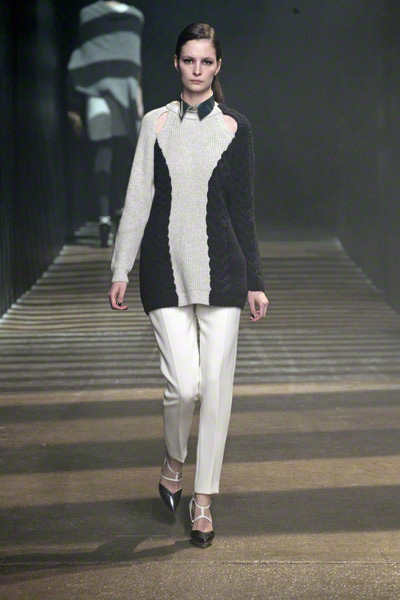 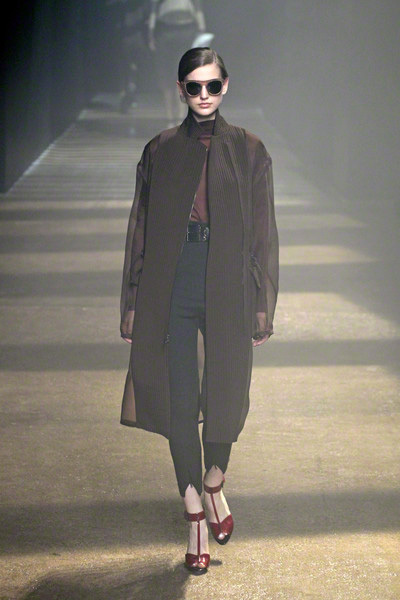 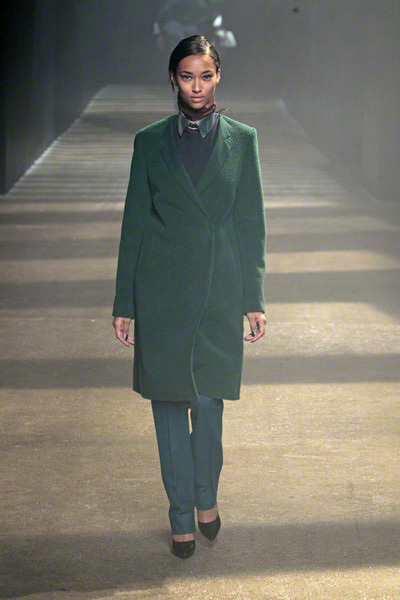 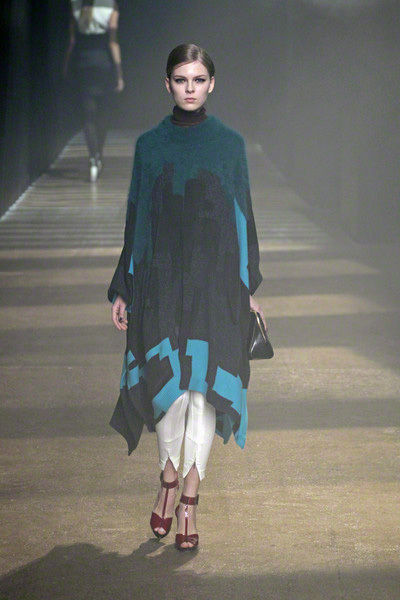 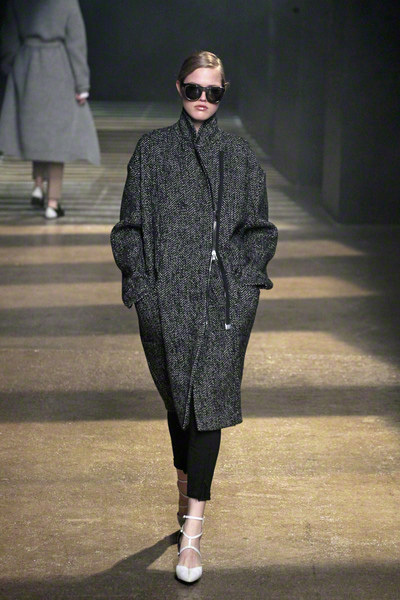 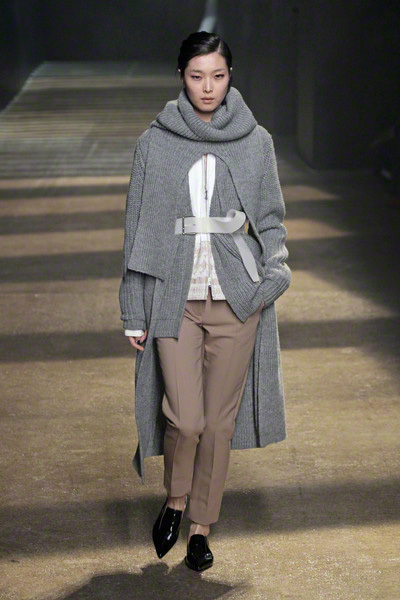 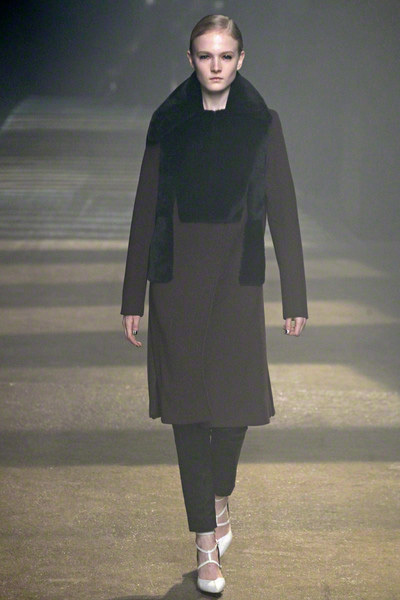 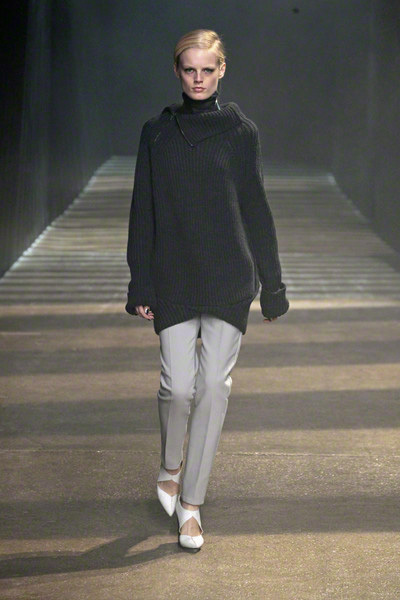 Lim introduced chunky knits and tweedy greys. 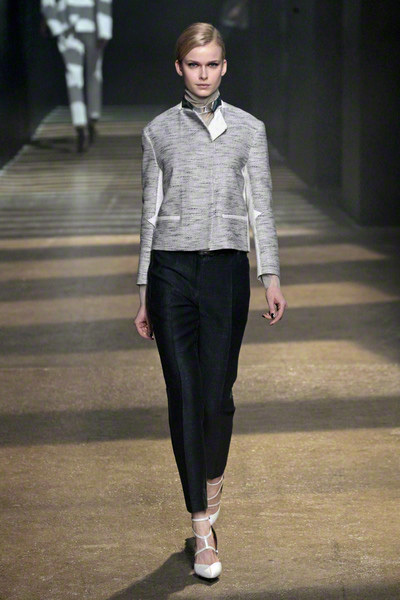 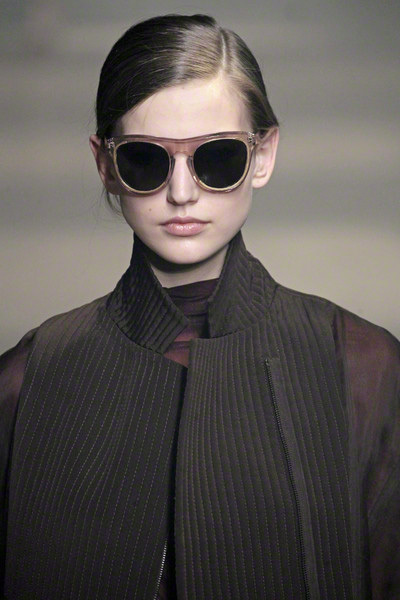 More texture was developed through cable detailing on sweaters, filmy transparent panels, , and sheeny damask. 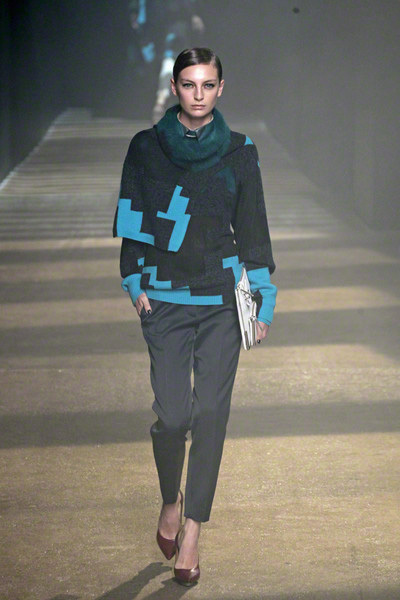 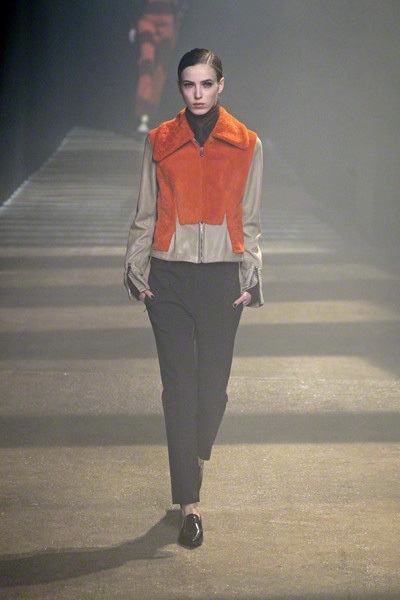 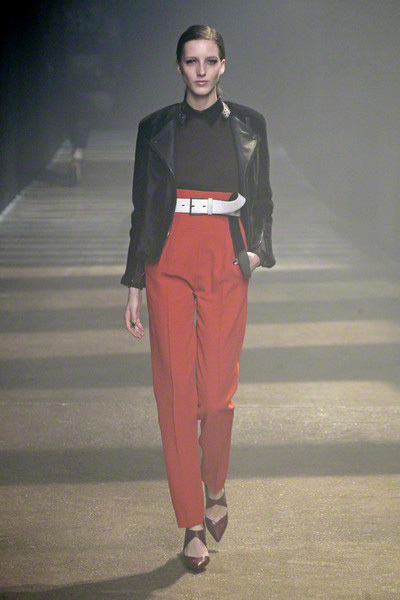 Towards the end, Lim welcomed colors, like blues, deep green and tangerine.